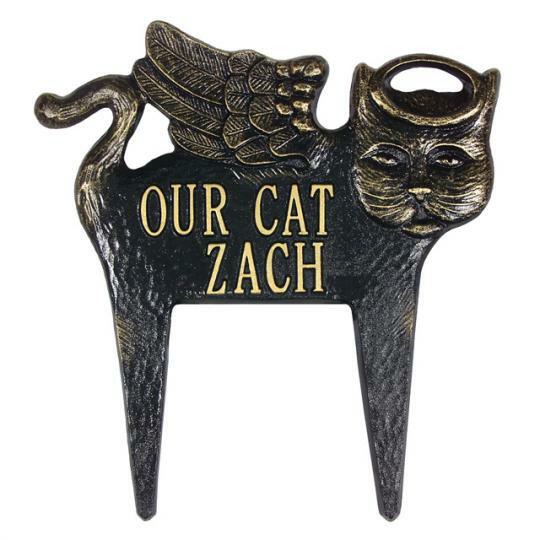 Pay tribute to your special companion with a personalized memorial marker. 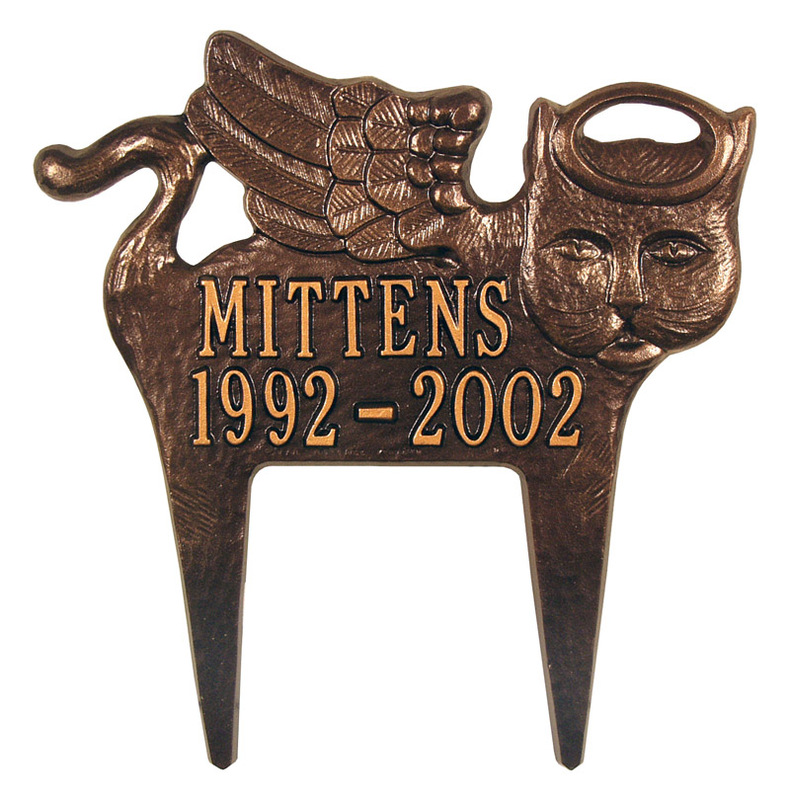 With superior quality and design, the cat memorial marker is made from recycled rust-free aluminum and handcrafted in the USA. A special paint formulary is utilized so that each memorial marker can resist the most severe weather conditions. The Angel Cat Memorial Marker allows for two lines of text. A special memorial gift that lasts a lifetime.